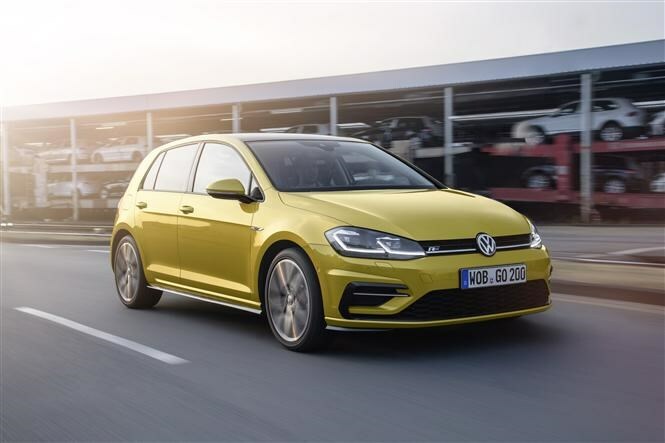 The VW Golf is a firm favourite in the UK – it’s the German brand’s best-selling car on these shores, with the current Mk7 version regularly featuring in top 10 sales charts. 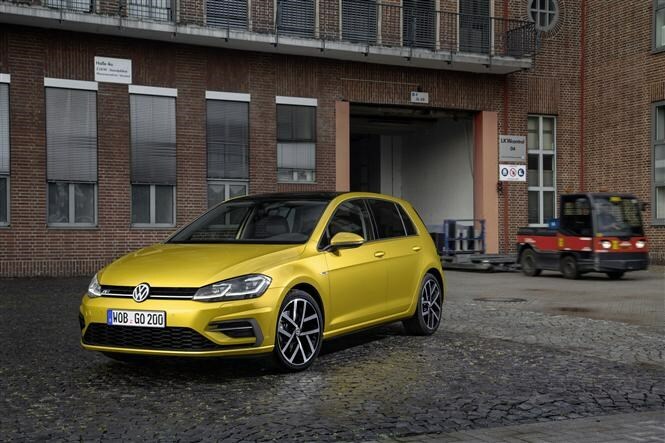 Enter the latest – a refreshed version of the outgoing car with updated looks, slightly tweaked engine range and something of a revolution in terms of technology under the skin for regular Golf hatchback, Golf Estate, GTI and GTE plug-in hybrid models. The difference between the seventh- and eighth-generation Golf in terms of styling is minimal, but VW has done enough to keep it looking up to date. At the front there’s a redesigned front bumper and new lights, with full LED headlamps replacing the previous xenon lights that were standard on higher-spec models. There are different grille and bumper designs depending on the model, as in the current Mk7. At the back, LED tail lights are now standard across the range, with top-spec models getting “sweeping” indicators that illuminate from the inside out. Under the bonnet there’s a new 1.5-litre TSI Evo engine, replacing the 1.4-litre TSI ACT (Active Cylinder Technology) of the current Golf. It produces the same 150hp and 250Nm of torque and can be specified with a new seven-speed DSG automatic gearbox, and still features ACT technology which shuts down two of the four cylinders at cruising speeds when the accelerator is under light load. There will also be a 130hp version of this engine joining the range, reserved specially for the BlueMotion model which will feature the ability to coast by deactivating the engine completely on the move. This will contribute to claimed CO2 emissions of just 104g/km for this model. For something a bit more potent, power in the GTI hot hatch has been boosted to 230hp in standard form, while the GTI Performance has 245hp. The Mk7 GTI produces 220hp and 230hp in standard and Performance Pack guise respectively. While exterior cosmetic changes have been mild, changes to the interior are significant. 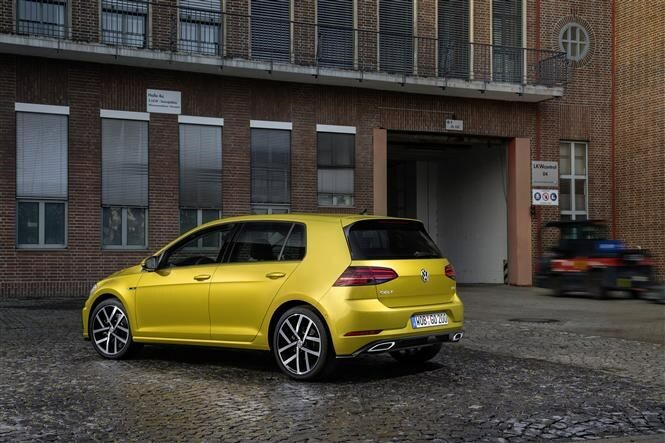 It may not look too different to the Mk7’s cabin, but VW has upped the Golf’s technology game. Like the larger Passat, the Golf is now available with a full digital instrument cluster in place of traditional dials and will be available as an option across the range. Like Audi’s Virtual Cockpit, VW’s Active Info Display is fully configurable to personal preferences, letting the driver choose between sat-nav mapping and directions, fuel economy information or performance and driving assistance information as they wish. VW’s touchscreen infotainment systems are already some of the easiest to use, but those in the new car move things on even further. They range from 6.5- to 9.2-inches in size and are all higher resolution than before. It’s the largest 9.2-inch Discover Pro system that’s got the most to talk about though. As well as touch and voice control for the whole system, it’s the first Volkswagen model to feature gesture control technology – something BMW introduced in the latest 7 Series luxury saloon. For now, the technology allows the driver to “swipe” left to right in a variety of menus. The screen itself has a glass surface with no physical buttons like in the Mk7; they’ve been replaced with touch-sensitive “buttons”. The home screen can be configured to the driver’s preferences like the digital dials, too. There are plenty of advanced connectivity and online services available, too. Apple CarPlay and Android Auto are available, as is wireless phone charging, a WiFi hotspot and concierge-style online services. VW has loaded the Golf up with plenty of safety and driver assistance technology, too. While the Mk7 already had a comprehensive set of equipment including autonomous emergency braking, blindspot monitoring and an automatic post-collision braking system (to name just a few), pedestrian detection for the Front Assist braking function has been added. Traffic Jam Assist is a new feature of the car’s Adaptive Cruise Control system that will slow down and speed up the car in traffic queues when fitted with the DSG gearbox, too. Finally, the Park Assist self-parking system has been updated with greater capabilities – for example parking forwards in a bay – while the car will make escalated alerts to the driver if it detects they’re not making any inputs while driving. If necessary, it’ll bring itself to a complete stop, while it’s also capable of automatically contacting the emergency services if it’s been in a crash.